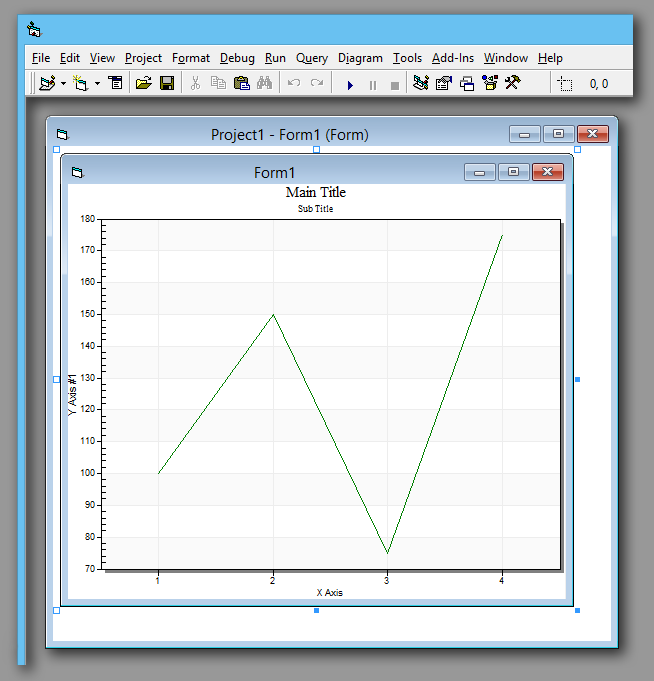 ActiveX Charting example adding charts (MSChart alternative) to your Visual Basic software. The Charting ActiveX solution for VB, Access, Excel, Office vba, Internet Explorer, and any container that accepts ActiveX COM interfaces. 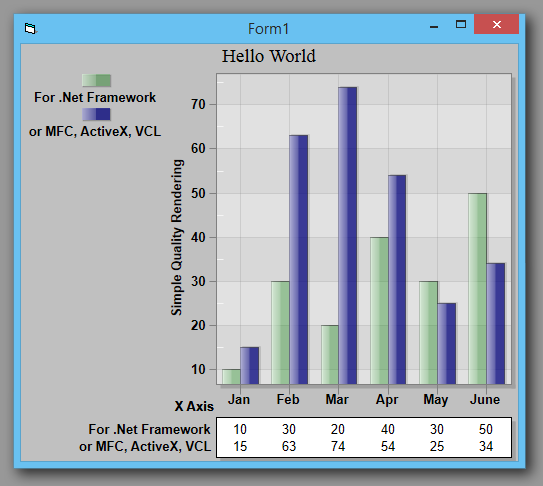 The following demonstrates how to create your first Visual Basic Charting ActiveX implementation. It discusses installation, adding the charting activex to a project, writing your first few lines of code, and shows the final chart. 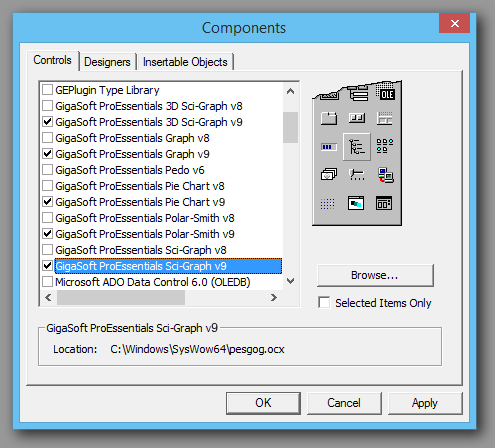 ProEssentials is the ideal MS Chart alternative due to its simple (property/event/method) api, free technical support, robust charting capabilities, and high quality rendering to screen and printer. ProEssentials separates charting functionality between 5 controls. This makes it easier to find related property, methods, and events. 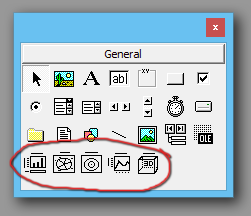 Click the "Pego"control from the ToolBox and then click and drag a rectangle selection on Form1's canvas. 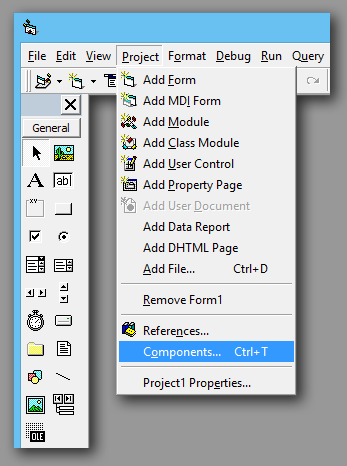 Use Visual Basic's Run / Start Menu and you'll see the resulting form to the left. 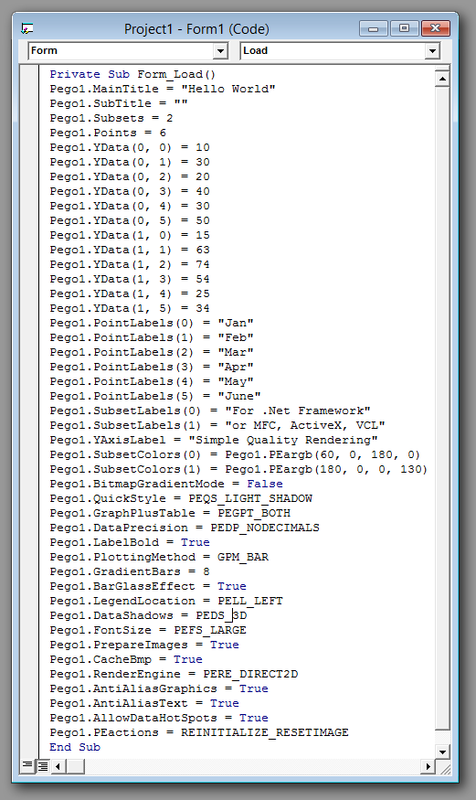 Congratulations, you've just completed your first Visual Basic / ProEssentials implementation.